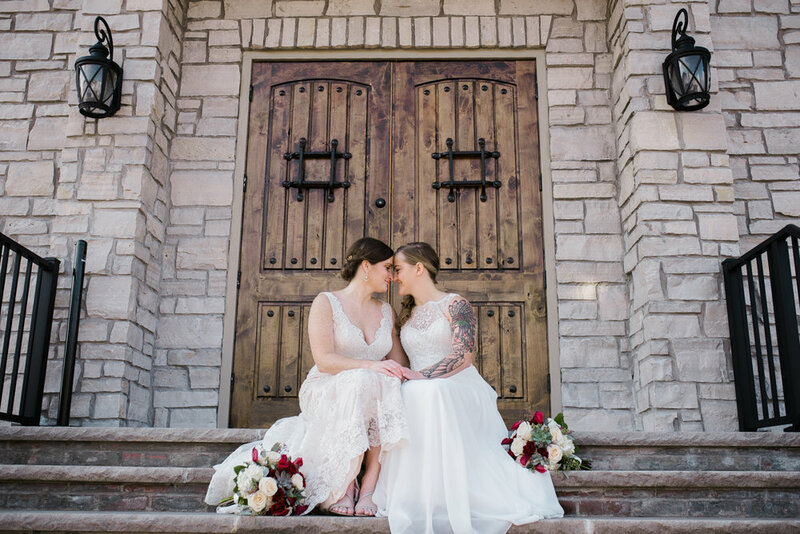 On the most gorgeous fall day we have had this year in St. Charles, Catie & Maggie said “I Do”. 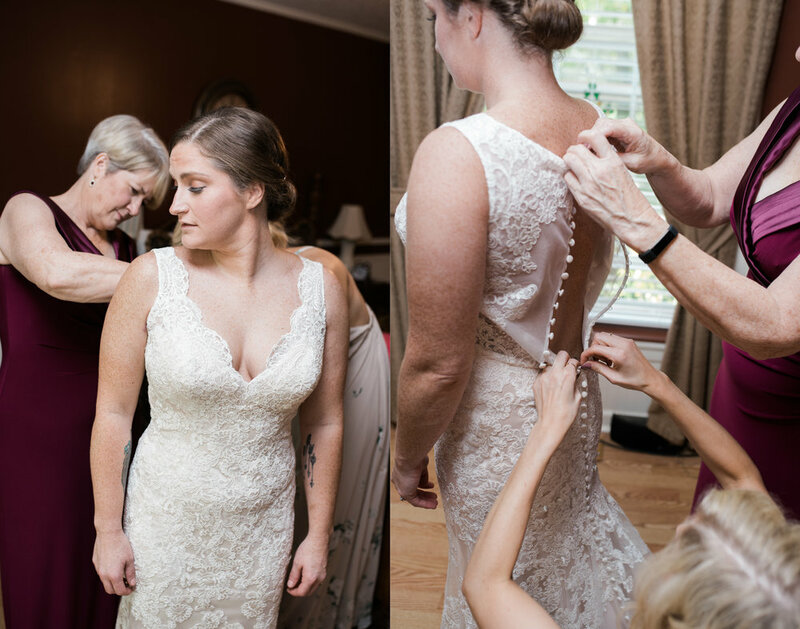 From getting ready, to the first look, walking down the aisle, then cutting the cake these two beauties smiled ear to ear the whole day. 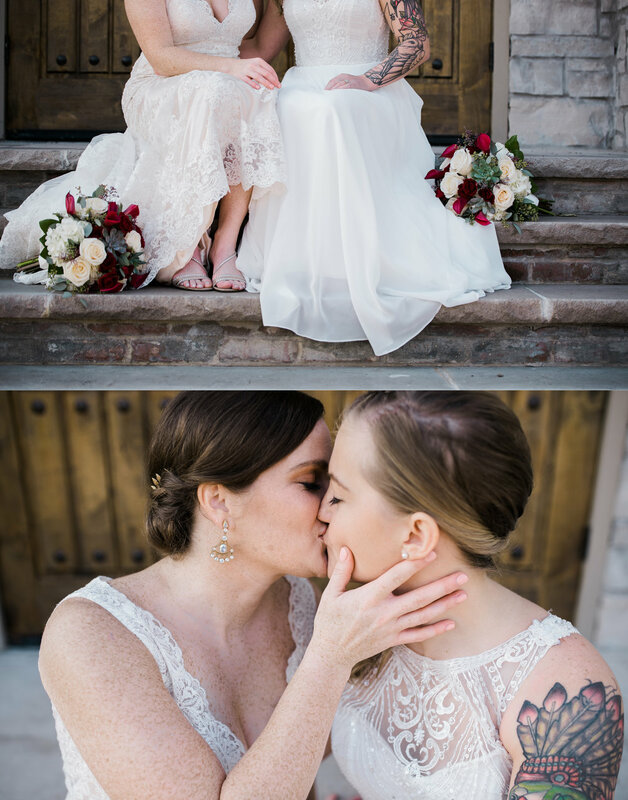 My favorite piece to the whole day was seeing how unique their dresses were and so perfect for their personalities coupled by the look they gave each other when they finally got to see each other. 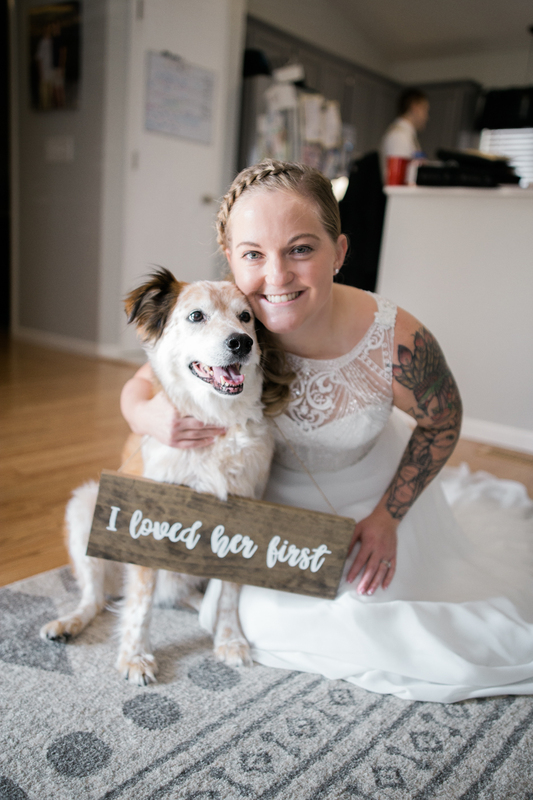 Catie told me outside of the night prior to the wedding, these two had only spent one night apart! The gorgeous fall colors on Main Street in St. Charles draped their wedding portraits with the most vibrate oranges, greens, and reds. 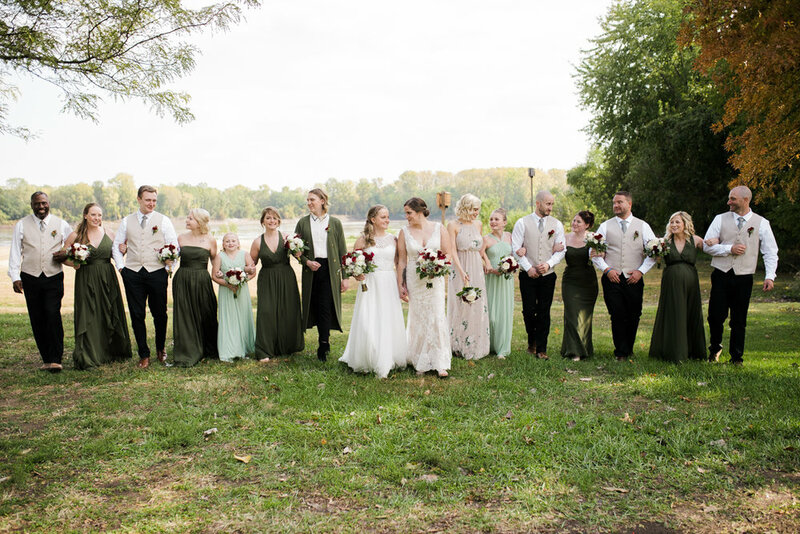 Each bride had their closest friends and family to support them and MAN they were a LOT of fun to work with! It was my first time shooting in The Old Stone Chapel in St. Charles and it did not disappoint. 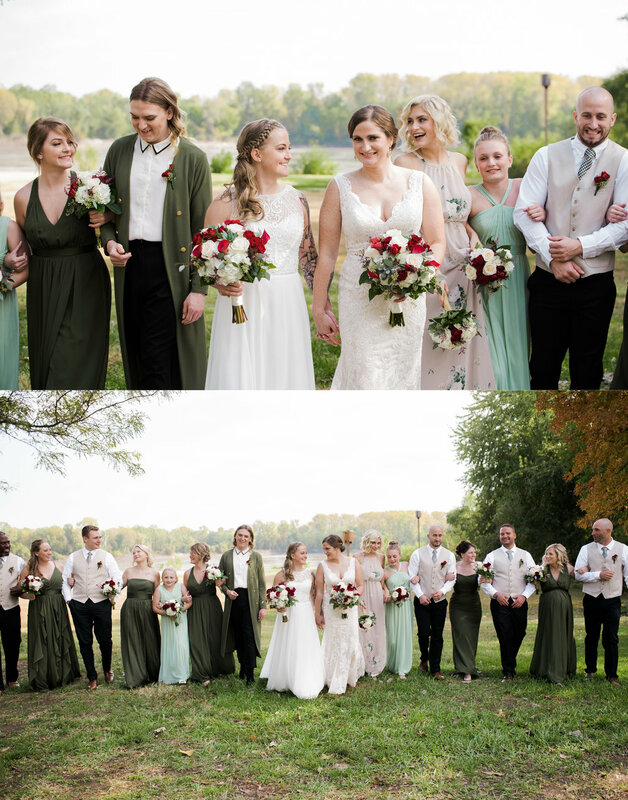 The intimate feel of the chapel and its gorgeous vintage charm made this ceremony so warm with love. Congratulations Mrs & Mrs Tierney. I know you are going to have a blessed and happy life together.